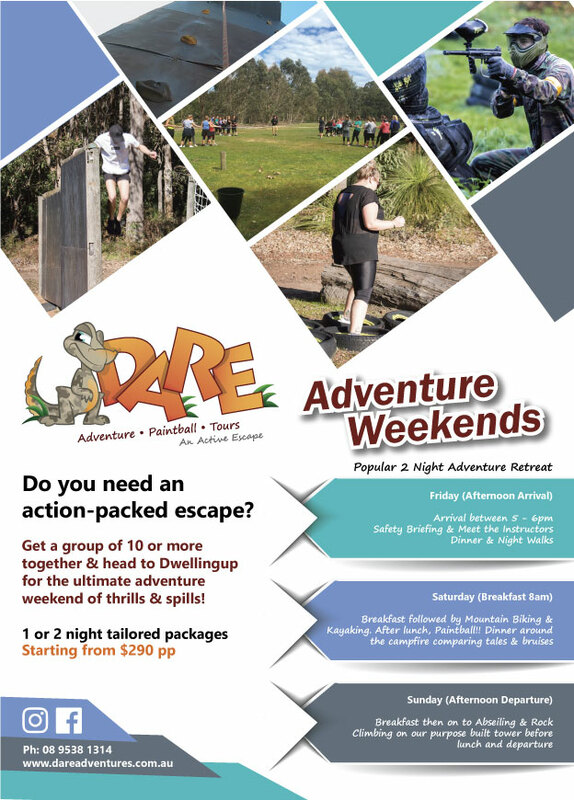 Leave the working week behind you and head down to Dare Adventures in Dwellingup for an ultimate adventure weekend. Perfect for sporting groups, corporate weekends, youth groups or a great family and friend’s outdoor activity. Plan your weekend adventure now! All meals are included.